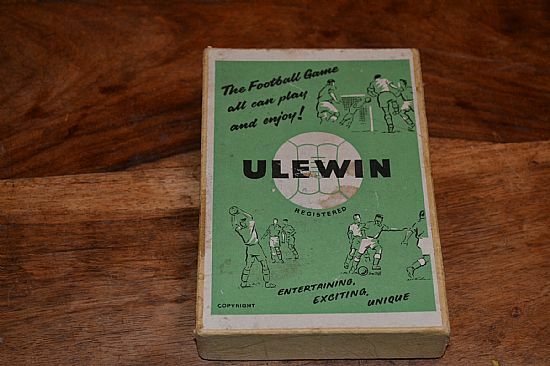 A nice simple card game based on the old football pools and predicting the results of games. Nicely presented set of cards in a box. 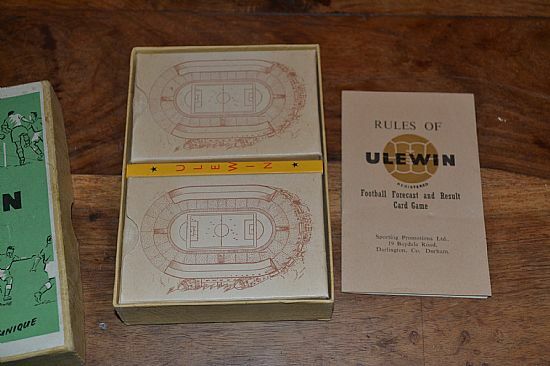 Nice classic football card game box design from the 1950s. The reverse of the cards are very nicely designed. 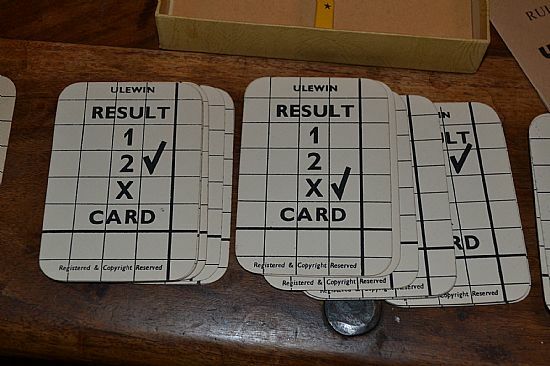 Each card represents the result of a game - home win, away win, score draw, no score draw.